Newfest Brings It for the Girls: Films You’ll Want to See | Do I Look Like A Writer in This? Productive Much? Let’s Share What’s Working – Part IV: The Virtual Notebook	Jove Belle is Here…with Cake! This past weekend, beginning on Friday night, I had the pleasure of seeing seven feature films and two programs of shorts at the 2015 Newfest LGBT Film Festival in New York. What kept me at the Bow Tie Theater on West 23rd Street for so many hours? The amazing selection of films focused on the stories of lesbians and queer women. This year, Newfest did a terrific job of telling our stories. Here are some of the best ones I saw, so be on the lookout for them in a theater near you! I love shorts—those 15 or 20-minute films that pack so much storytelling into so little time. Some filmmakers make shorts because they are hoping to raise enough money to create a full-length feature. 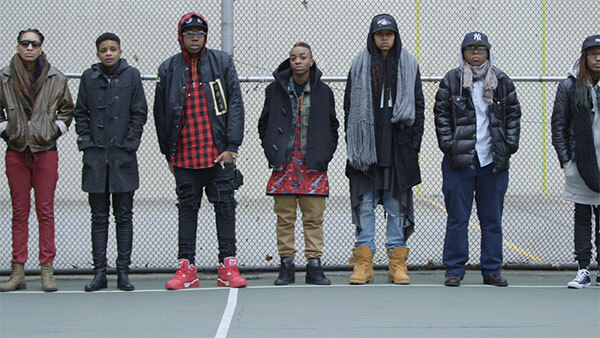 I first saw Dee Rees’ amazing film, Pariah, as a short and it was the best thing I’d seen at the Festival that year. Other filmmakers just prefer doing a lot with a little bit of time. This year, I saw two programs of shorts—one focused on queer youth and the other focused on hard-hitting themes that get you thinking. Among the youth shorts, one stand-out was House, Not Home, the story of an African-American trans teen’s experience in high school. 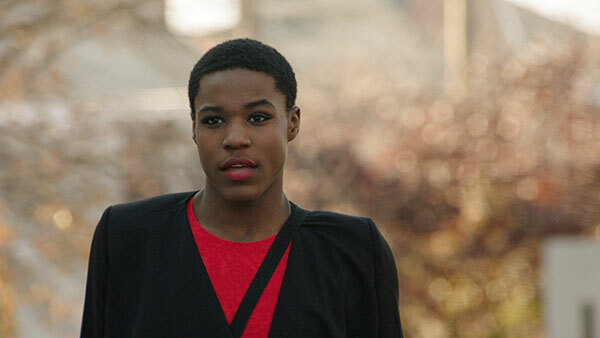 Originally written by a 16-year old gender fluid teen in Cleveland, the script was picked up by Scenarios USA, an organization that takes stories written by youth and turns them into films. This one was powerful and outstanding. On the adult side, I’d highly recommend Ma/ddy, the story of a butch widow who decides to become pregnant with the embryo created from her dead wife’s eggs. Sensitive and humorous at times, the film plays with our notions of gender fluidity and grief. Okay, now for those longer, narrative films. If you’re a lesbian over 45 years old, you might remember a wonderful play Last Summer at Bluefish Cove by Jane Chambers. It’s the story of a group of lesbian friends who spend their summer holiday together at a beach each year. The excellent film I saw, Liz in September, is an adaptation of the play, but set in Venezuela and in Spanish with subtitles. In it, Liz, an attractive player who has bedded many women, has refused further treatment for a recurrence of cancer, unbeknownst to all but one of her friends. She meets and falls in love with Eva, a straight married woman whose car breaks down on the way to meet her husband. The ensemble cast is wonderful, the story compelling, and the end had me sobbing as I thought of a good friend who is waging the same battle. Sad and redemptive—it’s a must see. In While You Weren’t Looking, a middle-aged lesbian couple (one white, the other mixed race) live in great comfort with their 18 year old adopted daughter, who is Black. When the daughter, Asanda, is out dancing with her white boyfriend, she meets Shadoe, a Black “tommy boi” from the nearby township. The film raises intense questions about class, gentrification, race and sexuality within this family and among those connected to it. It’s a more serious and cross-issue look at lesbian families than you’ll get watching The Fosters or The Kids Are All Right. The Same Difference is the first film by Nneka Onuorah. It’s a documentary about the self-imposed “rules” that often constrain and divide African American lesbian communities in the US. Rules like: You must be Stud or Femme. Studs cannot be with other studs. Bisexuals are confused. Studs cannot get pregnant. Onuorah dissects each of these rules by following the stories of her amazing subjects: a stud who became pregnant when her femme wife couldn’t conceive; a bisexual femme who “comes out” about her boyfriend to her circle of friends; a stud who wears a long-haired weave; and a stud couple who push back against the notion that they should not be together. The film is meant to educate and change hearts and minds. Given the fact that it sold out four showings at Newfest, I think it’s on the right track. Ready for Something a Bit Lighter? Taking a break from the heavier subjects, I got a ticket for a rom-com, Portrait of a Serial Monogamist. A Canadian film, shot in Toronto, it’s the story of Elsie, who breaks up her five-year relationship in the first scene and then makes a bet with her best friend that she can’t stay single for the next five months. It’s a funny yet insightful film that also functions as a great tour of Toronto neighborhoods. A bonus was the scene of the weekly Friday night dinner of Elsie’s Jewish family, somewhat reminiscent of the TV show Transparent. 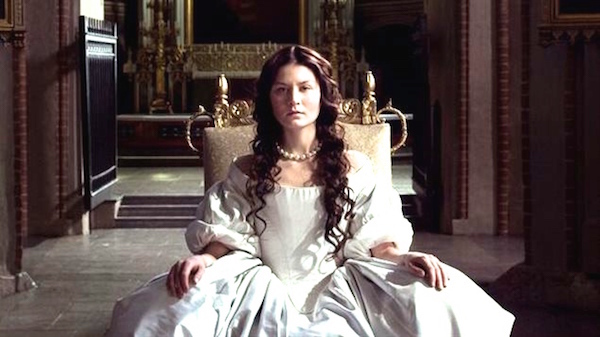 The Girl King, a retelling of the story of Queen Christina of Sweden, who ruled in the mid-1600s, is a wonderful opportunity to learn about the brilliant, forward-thinking, cross-dressing, woman-loving monarch in all her splendor. The film is mesmerizing and will have you on the edge of your seat. 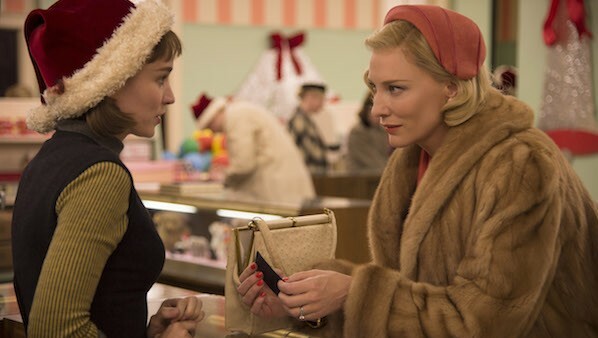 And finally, there’s the headline film of the Festival, Carol, starring Cate Blanchett and Rooney Mara. Based on the book, The Price of Salt—the first lesbian pulp with a happy ending—the book was written by Patricia Highsmith under the pseudonym Clare Morgan. I won’t bother with a review and will instead direct you to Autostraddle, where Heather Hogan, a fabulous writer, has done the film justice. So that’s a wrap for this year. At least for me. Newfest 2015 continues tonight and tomorrow night at the LGBT Center in NYC. I can’t wait to see what they do for us next year! Thanks for this. I love shorts too.